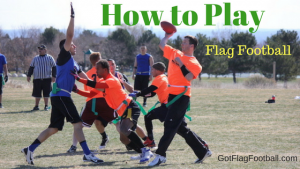 In either form of football, tackle or flag football, speed is the number one priority of all participants. While cleats play a large factor in the speed of the player, the importance of socks cannot be underestimated. In recent years there has been a shift towards athletic socks over traditional socks. Athletic socks offer several advantages over traditional socks to the elite athlete. There are a variety of factors that play into picking the best football socks for tackle and flag football such as blister protection, durability, and length. Each sock has both strengths and weaknesses so it’s key to find the right combination of factors to determine the best football socks for your season. What is the difference between sport socks and normal socks? Nike Men’s Vapor Elite Football Crew Review: The Nike Men’s Vapor Elite Football Crew is one of the best football socks on the market. The design of the sock allows for great cushioning and support of the foot and ankle to help decrease the amount of wear and tear that occurs over the course of a game or practice. While these football socks are heavily padded in the foot section, they have added in lighter material on the top of the foot and the ankle section of the sock. This provides extra breathability and keeps the feet cool during hot practices or games. In addition, these socks have the added benefit of extra cushioning along the Achilles. Helps decrease the rubbing that creates open wounds, which are painful and can lead to infection. While these socks do carry a high price tag they make up for it with the added life that the buyer gets from the added cushioning. TCK Sports Baseline 3.0 Multisport Elite Performance Crew Review: The TCK Sports Baseline 3.0 is one of the best flag football socks on the market. The tight form fitting bottom section helps to decrease blisters by hugging tight to the foot. In addition, the arch support helps give relief to athletes who have high arches. The lightweight design of the sock makes it an ideal flag football sock because it can keep the feet cool on hot summer days. These socks also come with extra cushioning in the heel and toe regions to stop wear out and blisters. One added benefit of these football socks is the huge variety of colors that are available to the consumer. This allows the buyer to pick the ideal color combination to give them the best football socks on the field. TCK Digital Camo Crew Socks Review: The TCK Digital Camo Crew Socks offer great protection with a unique style choice making them a favorite in the list of best football socks for 2019. The TCK Digital Camo Crew Socks offer several added features that separate them from the rest of the group, but the most notable by far is the camo design. This camo design makes for a great change up from the traditional two tone color schemes that the rest of the socks on the best football socks of 2019 have. Beyond the camo, these socks also bring some great features to the table. With added arch support and tight fitting crew section these socks do a great job of staying up to protect the ankle of the athlete and helps limit swelling. In addition, they offer blister protection in the heel and toe regions by giving extra cushioning. Under Armour Men’s All sport Performance Over-the-Calf Socks Review: While the Under Armour Men’s All sport Performance Over-the-Calf Socks are designed to be used in a variety of sports, their breathability and calf protection puts them in our list of top football socks for 2019. The Under Armour Men’s All sport Performance Over-the-Calf Socks combine great lower leg protection with cushioned support to produce one of the best tackle football socks on the market. The upper section of these socks is made of light material that breaths very easily while still staying tight to the leg. In addition, the lower section of the sock has extra cushioning in the heel and toe to help guard against blisters and wear through. The combination of to the knee coverage and high quality blister protection is hard to come by making these one of the best football socks, especially in cold weather. Under Armour Performance Crew Socks Review: The Under Armour Performance Crew Sock gives the elite football player a top fitting sock in the crew cut style. This top football sock of 2019 are a great sock for any situation. While some players might find the Under Armour Men’s All sport Performance Over-the-Calf Socks too hot in the summer the Under Armour Performance Crew Sock can fit the bill as one of the best socks for flag football because of it’s ability to be comfortable in both hot and cold weather. These socks have a great moisture and sweat control system that allows the sock to get sweat away from the foot. This moisture and wicking system, when combined with the added protection in the heel and toe areas, helps ensure that the athlete does not get blisters that will sideline them for the coming contests. Garma Compression Stretch Magic Football Socks Review: The Garma Compression Stretch Magic Football Socks do not make the list for the best football socks. While the designers make a good attempt at creating a solid sock, the compression aspect of the sock misses the mark. The compression is not tight enough to help decrease swelling and provide protection; but is still tight enough be uncomfortable. In addition, these socks have major sizing issues. Many customers have experienced the sizing being off leaving them with football socks that do not fit their needs. As a whole, their construction is solid, but if you are, looking for a pair of football socks these will not provide the benefits of compression socks and will not be comfortable enough to make it through a practice or game. Schutt Sports Socks Game Day Football Uniform Review: The Schutt Sports Socks Game Day Football Uniform are mass produced socks that lack the construction quality to survive a full day on the field. This construction of sock was popular in the 90s and early 2000s before elite athletes began to see the benefits that sport socks gave them. There are a majority of issues with these socks that all stem from their cheap construction. The lack of extra padding in the heel and toe makes them susceptible to wearing through very quickly. In addition, they do not have any blister protection, which leaves the athlete susceptible to blisters that could sideline them in future practices and game. These socks are designed to be worn over the calf but lack the elastic to keep the socks up. As a result the will fall down throughout the game eliminating the protection that they provide as well as becoming an annoyance to players. The key to finding the best football socks is to realize the strengths and weaknesses of each pair of socks. While some are designed for warm weather vs. cold weather, there are three main aspects that buyers need to consider when picking the football socks that will carry them through the season. Blister Protection: The main concern of any equipment is to protect the player from injuries. The biggest concern for any athlete when it comes to football socks should be blisters. Blisters happen when the skin is damaged from excessive rubbing or friction. In order to help protect against these blisters the best football socks will provide more cushioning in these high friction areas. This helps to have the sock absorb the friction before it gets to the foot, which limits the amount of blisters that players get.When buying football socks it is important to take note of the level of protection in these high friction areas. Many of the higher level socks provide for the protection in the heel and toe area that prevents blisters from forming. Lower level socks tend to not provide this reinforcement and protection to save money in production. The result is that the athlete is more susceptible to blisters that can prevent them from playing in upcoming games. Length: There multiple different sock lengths available to football player. Therefore, when it comes to length of socks there are varieties of factors that athletes must consider. From full length socks, to crew length, to ankle socks, each design has different strengths and weakness that are built into its construction. Full-length socks are the traditional socks that fit above the calf. These socks tend to provide a small level of protection against cuts and scrapes that can occur to the calf and shin. In addition, some socks offer compression, which helps to decrease swelling and allows the body to heel any minor injuries like ankle sprains quicker. They also serve to take away a little of the chill during cold weather games. The weaknesses of full-length socks can be that they are hotter and fall down throughout the game. Even the most breathable full-length sock will be hotter than a crew or ankle cut sock. Crew cut socks make for good flag football socks. These socks provide protection for the athlete’s ankle while still allowing the calf to breath. This makes them a great all weather sock. The fabric on the Achilles heel also helps to prevent the blisters that occur with ankle socks. Ankle socks can be a dangerous socks to play tackle football in. They do not give the athlete the ability to have their ankle protected from cuts and scrapes. Also they do not provide any form of compression on the ankle. In addition they leave the Achilles heel open which may rub against the back of cleats to create an open wound that is both an infection risk and uncomfortable. Durability: Football socks do not wear out at the same rate across the sock. Instead, there are high traffic area that absorb most of the stress of the socks and grow thin quicker. In general, the areas where socks wear out the most are on the heel, the balls of the feet and the toes. These are normally the same areas where the athlete experiences blisters, so this added protection serves to both increase the durability of the socks and the protection of the athlete’s foot. The durability of socks is an important factor to consider. Many cheaper socks do not have the extra protection in the high wear areas. This leads them to wear out quickly and have to be replaced. So while cheap socks may save the buyer money in the short run, because they are replaced more frequently, they are not as big of a bargain as they appear. Sports socks are specifically designed to deal with the problems that athletes deal with. This means that sport socks are created from material that can wick away more sweat than traditional socks. When training and competing, athletes will generate much more sweat than a person not working out or playing a sport. In addition, most sports socks fit tighter around the ankle, which allows them to provide compression to the ankle to help reduce swelling. This allows the body to repair any minor ankle damage like slight rolls and sprains. Another added benefit is the extra cushioning and support that is provided in high wear areas like the heel and toe. Athletic socks have extra cushioning in these areas that help to prevent wear and blisters that traditional socks do not need to worry about. There are a variety of factors that play into picking the right football socks, which similarly apply to choosing the best football gloves. While most athletes focus on the colors and the look of the socks, the main factors that people should consider are blister protection, length and durability. In order to choose the best football socks it is important to think about the different factors and how the socks rank in these characteristics.